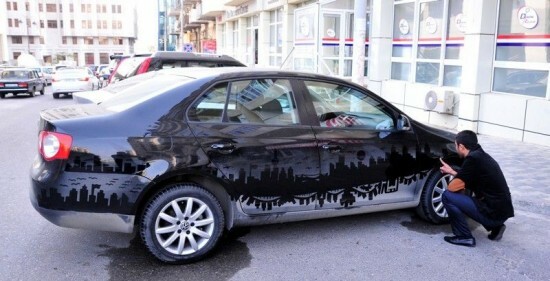 Parking attendant Rafael Veyisov makes good use of his time while on the job by “painting” scenes on dusty cars. 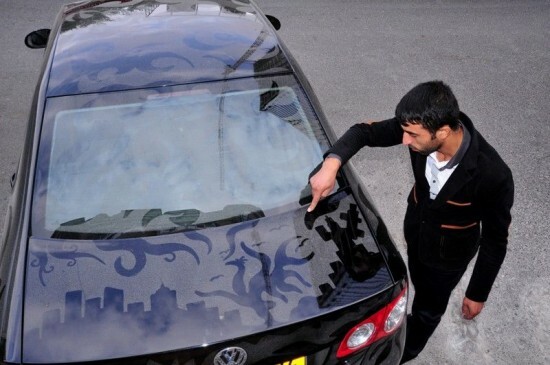 During his work hours in Baku, the capital of Azerbaijan, Veyisov rubs off car dust with his fingers to “illustrate” cities, landscapes, and even animals. 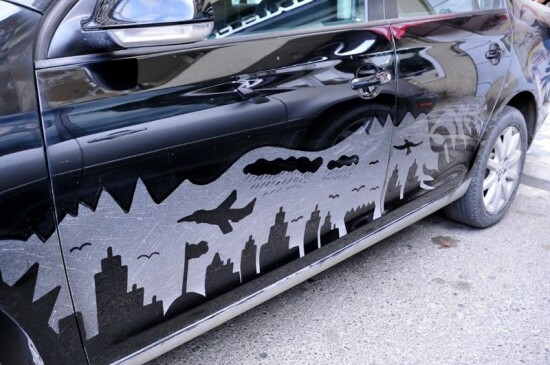 Soon, word about Veyisov’s impressive works of art spread, with many drivers dropping off their cars with him, waiting to see what he will come up with next. 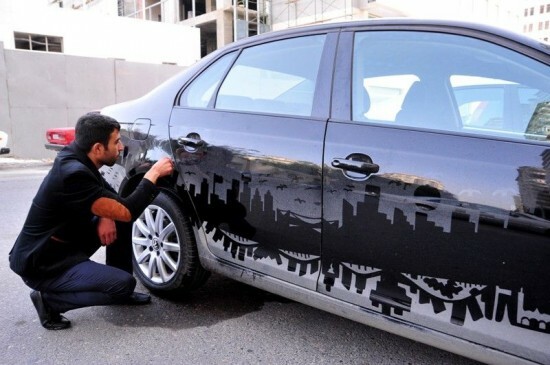 Watch the video below to see this accidental artist in action.